Select the searching criteria either Standard Search or Advance Search. 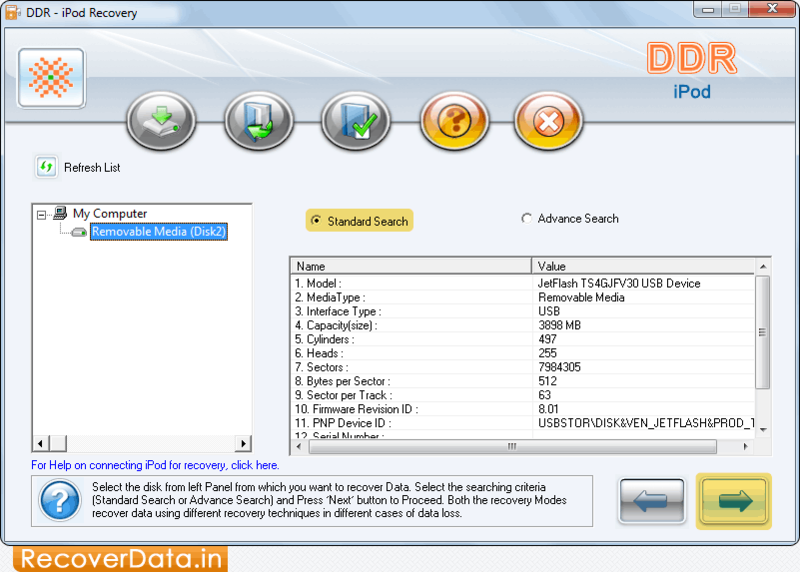 Select Partition from which you want to recover lost songs and click on 'Next' button to start searching data. Currently performing File Searching Process using Standard Search. 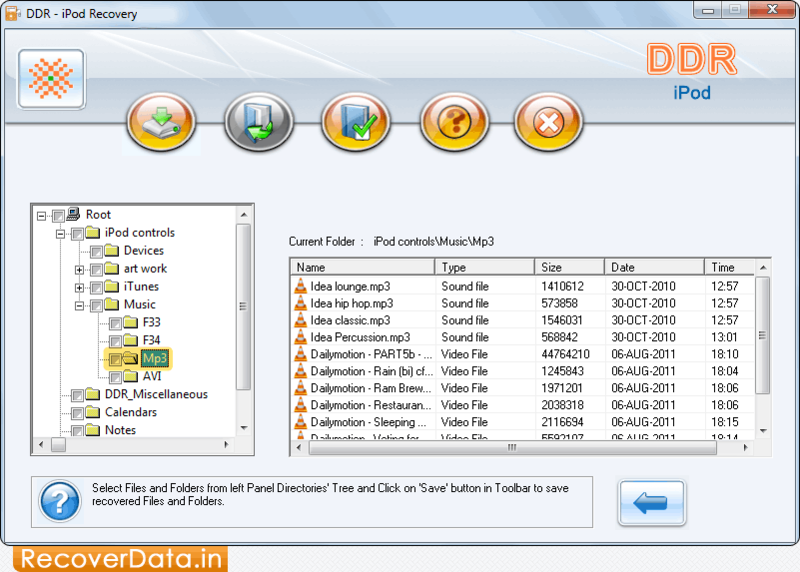 Select folder from left panel and view recovered data of selected folder.